DALLAS, September 1, 2016 – A cohort of international health organizations, resuscitation leaders, and emergency medical systems that includes the American Heart Association (AHA) – the world’s leading voluntary health organization devoted to fighting cardiovascular disease – today announced the establishment of the Global Resuscitation Alliance, declaring a bold goal of increasing cardiac arrest survival rates by 50 percent. 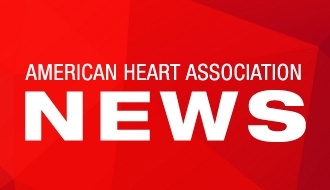 To support these efforts in the United States, the AHA, the Seattle-based Resuscitation Academy Foundation (RAF) and Laerdal Medical announced the creation of the Resuscitation Academy Collaborative. The Collaborative will identify and disseminate best practices to combat and reverse the global public health crisis of poor outcomes from cardiac arrest. The AHA lends its recognized expertise as a world leader in resuscitation guidelines to both organizations. The U.S.-based Collaborative adds Laerdal’s strength in medical simulation and educational product design and, the RAF’s expertise in the practical implementation of programs within emergency medical services (EMS) systems. “Survival from cardiac arrest is tragically and unacceptably low,” said Mickey S. Eisenberg MD, PhD, Medical Quality Improvement, King County EMS, Seattle, WA and co-author of the paper that led to the formation of the Global Resuscitation Alliance. Eisenberg’s own region of Seattle and surrounding King County reached an all-time high of 62 percent survival rates for bystander-witnessed cardiac arrest caused by ventricular fibrillation (VF). By comparison, the VF cardiac arrest survival rates in many other urban areas are in the single digits. Nationally, the survival rate for bystander-witnessed VF cardiac arrest is almost 40 percent. The two new groups emerged from the EMS2016 Congress in Copenhagen, Denmark and constitute years of international effort by health professionals to combat cardiac arrest globally. Cardiac arrest is a global public health problem, with an estimated one million fatalities annually in high-resource countries. In the United States, more than 350,000 people suffer out-of-hospital cardiac arrests annually, with just a 12 percent survival rate from all rhythms causing cardiac arrest. Cardiac arrest is a time-critical event that may be successfully countered with immediate cardiopulmonary resuscitation (CPR) and defibrillation with the use of an automated external defibrillator (AED) when indicated. Each minute a patient remains in cardiac arrest without CPR means their chance of survival drops up to 10 percent. The groups point to the wide disparities in how cardiac arrest is treated and the lack of trained bystanders in many communities as reasons that keep survival rates under 50 percent. They point to Seattle and King County as a leading example for how professional and layperson emergency response should operate. Dispatch first responders more rapidly. Process improvements may shave more than a minute in some emergency response dispatch centers. Standardize the practice of dispatcher-assisted CPR. Ensure that 911 call centers know how to telephonically identify cardiac arrest and provide CPR instructions to callers. Both Hands-Only CPR and conventional CPR can double or triple a cardiac response victim’s chance of survival. Continue to improve high-quality CPR. Healthcare providers should conduct regular practice as individuals and a team to ensure high-quality CPR as outlined in the 2015 AHA Guidelines Update for CPR and Emergency Cardiovascular Care (ECC). Create a culture of leadership. Many of the improvements needed to strengthen the Chain of Survival require commitment from the community’s leadership. The Alliance seeks to inform and inspire relevant leaders on how to adopt a continuous improvement model of thinking. The American Heart Association is devoted to saving people from heart disease and stroke – two of the leading causes of death in the world. We team with millions of volunteers to fund innovative research, fight for stronger public health policies, and provide lifesaving tools and information to prevent and treat these diseases. The Dallas-based association is the nation’s oldest and largest voluntary organization dedicated to fighting heart disease and stroke. To learn more or get involved, visit heart.org or follow us on Facebook and Twitter. Laerdal Medical, one of the world’s leading providers of healthcare solutions, is dedicated to helping save lives with products and services for Simulation, Airway Management, Immobilization, Basic Life Support, Advanced Life Support, Patient Care, Self-Directed Learning, and Medical Education. Laerdal is pleased to serve all healthcare providers and educators, from the lay rescuer to the medical professionals. Visit Laerdal.com and follow us on Facebook and Twitter. The Resuscitation Academy's mission is to improve survival from cardiac arrest through a fellowship program designed specifically for EMS managers, EMS directors and EMS medical directors. The Seattle-based foundation has alumni in 22 states, and multiple countries, who participated in resuscitation leadership programs. The foundation serves as Secretariat for the Global Resuscitation Alliance which includes senior-level leadership from EMS systems in more than 20 countries. Visit our website resuscitationacademy.org.